Here are 10 fun ways ParkLives from Coca-Cola GB is helping families to keep busy this summer. The hot weather (when we get it) can be sweltering and you might want nothing more than a cool dip… if you’re in or around Nottingham you’re in luck! Practice your breaststroke in one of the refreshing open water sessions in Colwick Country Park – they’ll even provide the wetsuits, so you don’t have any excuses. Even if you’re not a strong swimmer, the session leaders are on hand to make sure the whole family is safe, sound and having fun. Enjoyed watching Wimbledon and fancy picking up a racquet but don’t know where or how to start? There could be a ParkLives family tennis session near you. You’ll learn new skills as you play together and complete beginners are welcome. Even if you manage to hang tight and avoid a jousting, we bet you still fall off your hoppers laughing. Find out more and register for ParkLives. 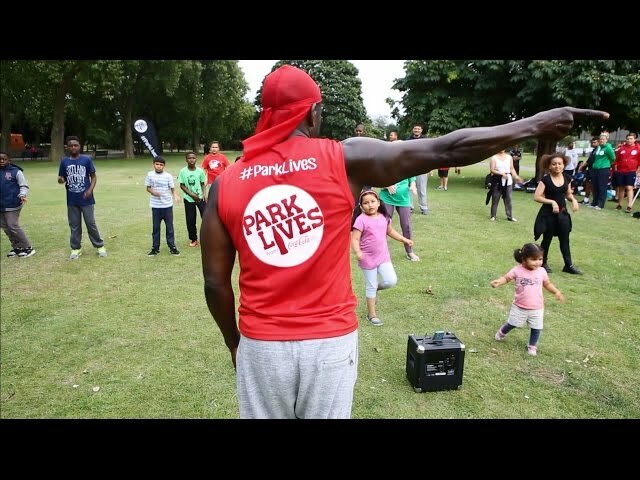 Why not tweet us @CocaCola_GB some snaps of you and your tribe having some #ParkLives fun!